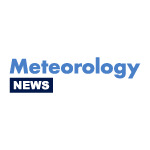 Subscribe to the Meteorology & Climate newsletter! Subscribe to the Meteorology-News monthly newsletter, rounding up everything going on in the Global Weather Enterprise! If you have a great Meteorology industry news feed, blog, podcast or video channel that you’d like us to include in Meteorology News, or if you have any ideas of new Meteorology industry topics that you’d like us to focus on in the site, then please just contact us at info@meteorology-news.com with details! Or if you have an account with Meteorology News, log in and comment. Stay up-to-date with the latest Meteorology & Climate industry news. All the latest Meteorology, Extreme Weather, Energy, Environment & Climate Change news, blogs, videos, podcasts & social media chat from the industry's leading publishers, all in one place.